The Railway is closed now until Sunday 31st March but that doesn’t mean there is nothing going on – our fortnightly Winter Work Weekend programme is underway. 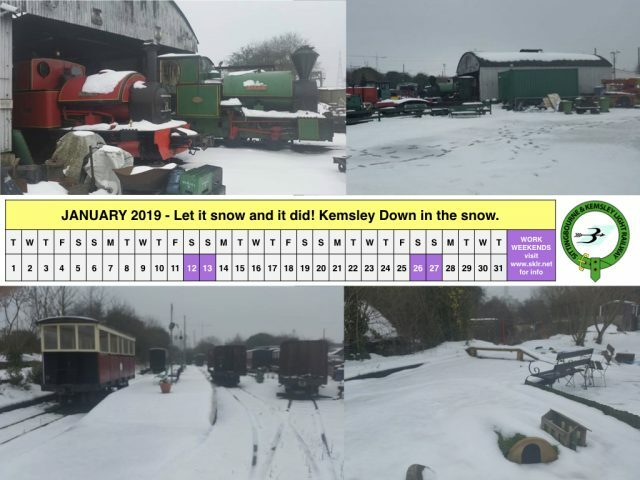 Due to internal road network changes at Kemsley Paper Mill, we may not be able to operate Works Trains as the level crossing at Kemsley Down is due to be worked on. If you would like to help us, and you are more than welcome to, please email info@sklr.net by Friday so we can send you details of where and when to meet. There is a lot of work to do, building on the excellent Autumn Work Weekends which saw the toilets completely refurbished and improvements across the site.